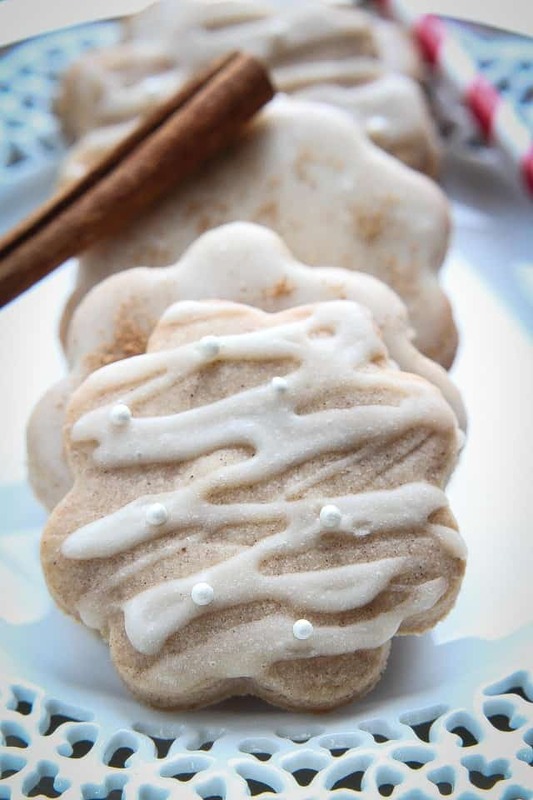 Glazed shortbread cookies flavored with eggnog and cinnamon adding a subtle flavor of the classic holiday drink. 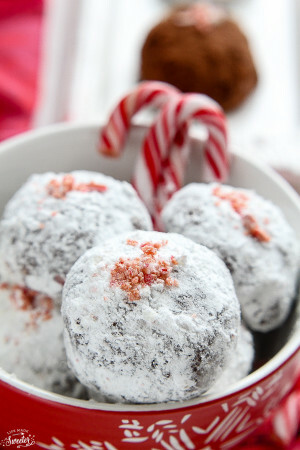 Every year around the holidays, my list of cookies I want to make by Christmas seems to get longer and longer. I love making a few of our favorite classics and trying a couple of new ones. I know I could always make them all year round — but there is just something so special that can’t be beat about Christmas baking. This year I wanted to get a little bit of a head start on my holiday baking and since the hubs couldn’t wait to put up our tree a few weeks ago with our lil guy, I made Eggnog Shortbread Cookies with our favorite Christmas music playing in the background. Shortbread cookies always remind me of when I was a little girl and used to leave cookies out for Santa. We would always have shortbread cookies around the holidays so these were one of the cookies that always made it onto Santa’s plate. To shake things up a bit, I added a little bit of cinnamon and eggnog to the cookie dough and glaze. 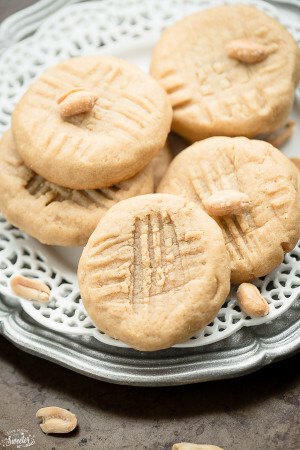 They still have that classic buttery taste in a thick shortbread but my family loved them even more with the subtle flavor of the warmly spiced holiday drink. 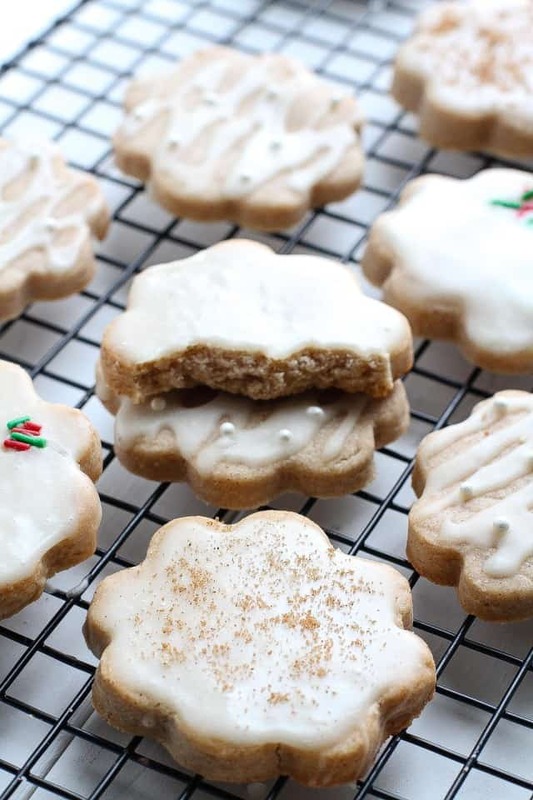 If you like eggnog, then be sure to give these cookies a try. I don’t usually drink much eggnog but I love cooking and baking with it. It adds a wonderful hint of flavor and softness to cookies and cakes especially on the next day. In a medium bowl, whisk together flour, cornstarch, cinnamon and salt. In mixer bowl, cream butter, eggnog and icing sugar together until smooth and fluffy. About 2 minutes. Turn mixer on low and slowly add flour mixture. Continue to mix on low until dough comes together. Be careful not to overmix. Roll dough between two pieces of parchment paper to about 1/4" - 1/2" thickness depending on your preference. Refrigerate rolled out dough for at least 1 hour. Once chilled, preheat oven to 375 F degrees. Line 2-3 large baking sheets with parchment paper or a silicone baking mat. 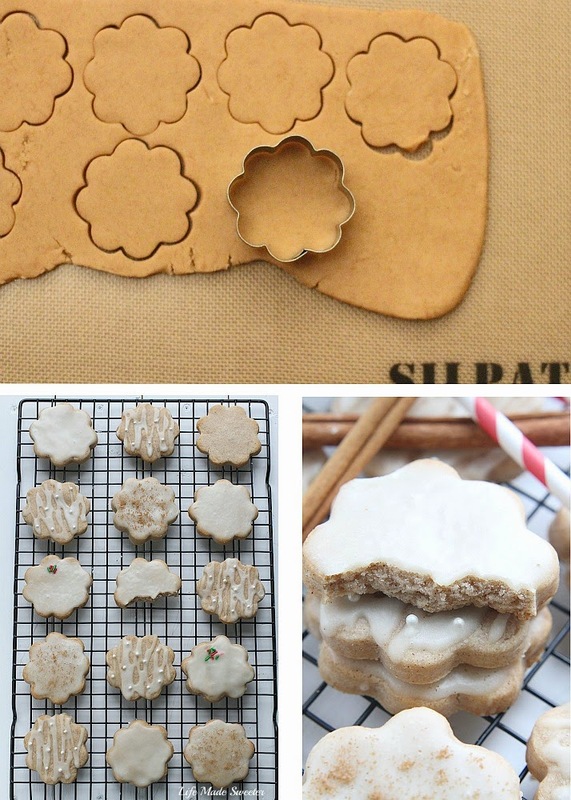 Remove dough from the refrigerator and using a cookie cutter, cut in shapes. Transfer the cut cookie dough to the prepared baking sheet about 1/2 inch apart. Bake for 10-13 minutes until cookies are slightly golden on bottom edges. Cool on a wire rack. Re-roll the remaining dough and continue cutting until all the dough is used up. 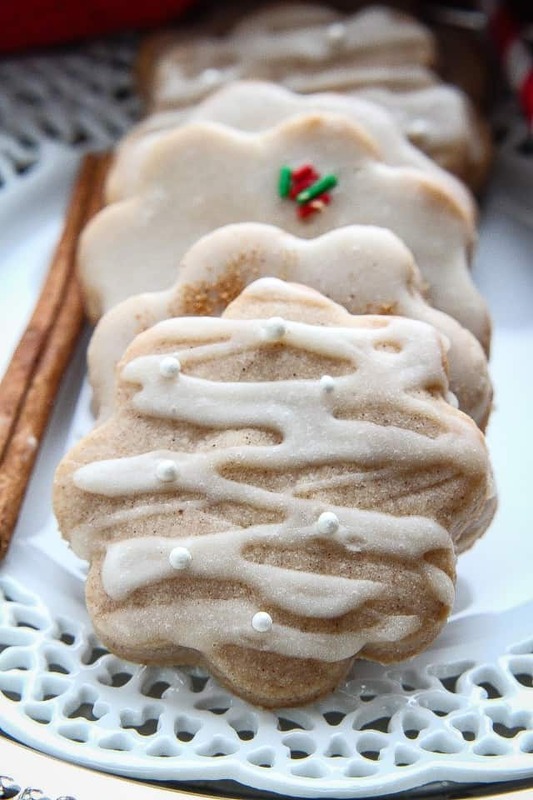 Whisk icing sugar and ground cinnamon into eggnog until it becomes smooth and creamy. Once cookies have cooled, place on parchment paper and use a spoon to drizzle or spread glaze over each one. 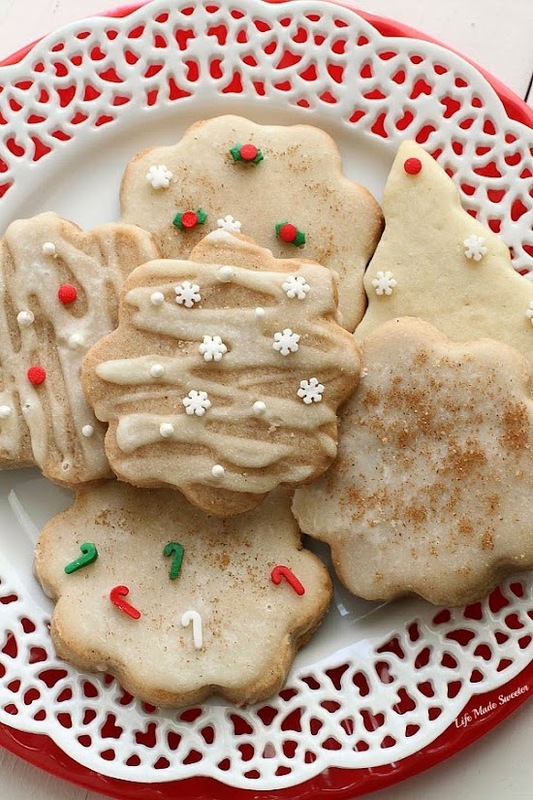 Top with sprinkles, cinnamon sugar or sanding sugar as desired. Allow the glaze to harden (approximately an hour) before serving.